The Gourmet Food Kitchen is based in Cov’s creative hub, at FarGo Village. 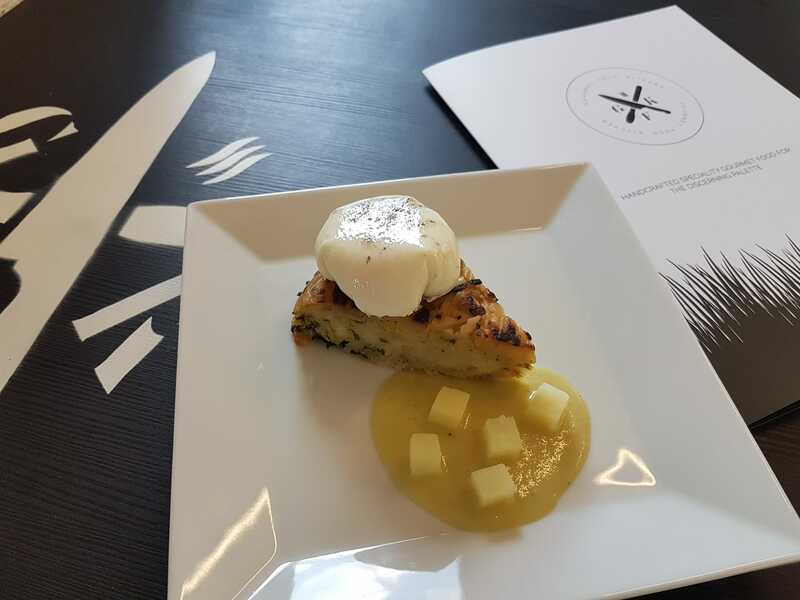 The restaurant has recently launched their gorgeous new menu, which now, is strictly inclusive of foods that have been made completely by hand. Owner Tony Davies re-brands the spot with a host of delights, made fresh each day. Dishes will include brunch favourites, such as, eggs Benedict with handmade muffins and black-treacle cured bacon. Bagels, pork pies and Tony’s famous sausage rolls are also up for the taking! Although, we’re are most intrigued by the bubble & squeak cake option. Suitable for vegans minus the poached egg that can come along with. “A lot more love goes into food that is homemade and our customers have always commented that they can really taste the difference which is why we decided to start making all our products ourselves by hand. 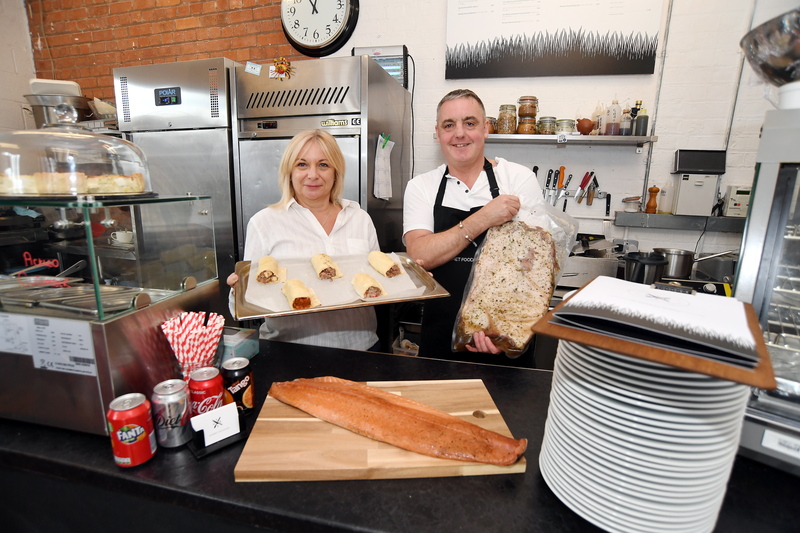 “It’s been a big change for us to start making everything from scratch, but I really enjoy getting hands-on with the food and when people see me hand-smoking our salmon and jim-beam-smoked pastrami, it really attracts more customers to try our dishes. “We’re currently looking to expand with the introduction of the new menu and so we are looking to take on an apprentice to learn both sides of the business and with all our food now being cooked from scratch there will be a lot to learn. “It is my dream to use my 15 years’ experience as a catering lecturer to teach others the importance of cooking. In addition to our chocolate classes, we will also be introducing a range of new classes teaching knife skills, butchery and fishmongery classes to start with. 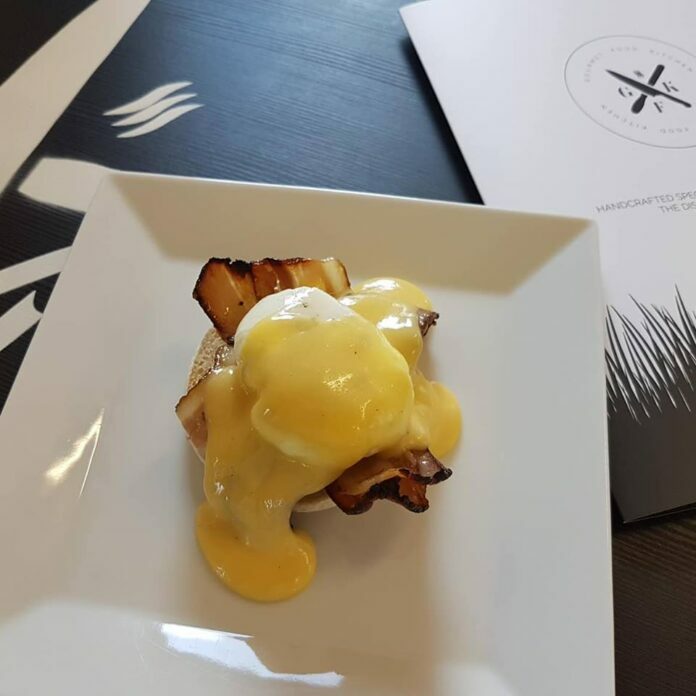 “I would definitely recommend the eggs benedict or eggs hemingway which are made with fresh hollandaise sauce, they have been really popular additions to our brunch menu and our vegan bubble and squeak cake has been selling really well too! Previous articleTreat the kids to one last day out at the Coventry Transport Museum before term-time begins. Next articleNet migration to the West Midlands has dropped since Brexit, official figures show.